The Pallet Pal Level Loader is designed to maintain the top of the pallet load at a comfortable working height. This will help to reduce injury associated with loading pallets at the floor level and will also improve the worker productivity. 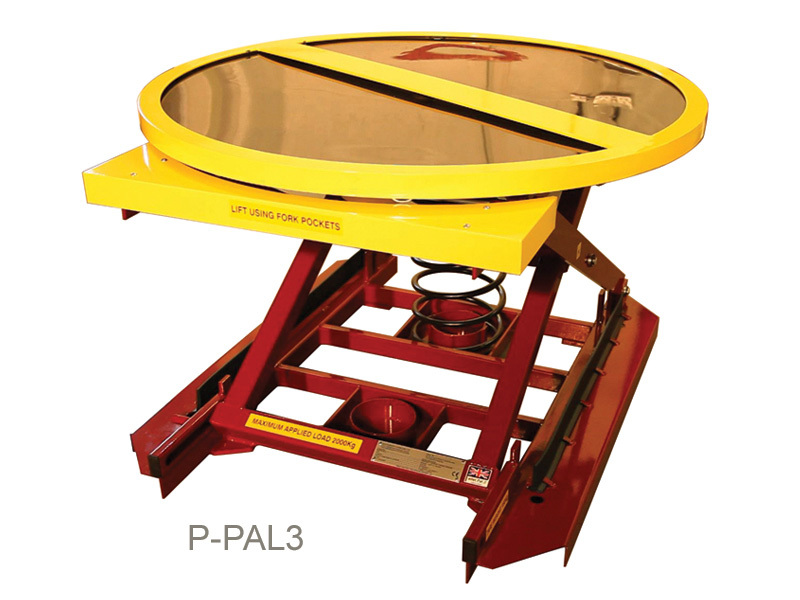 The Pallet Pal uses coil springs so does not need an pneumatics or hydraulics. It can be set up to use loads between 200 - 2000kg and doesn't require any tools to adjust. 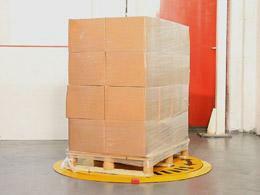 At any heavy-duty commercial work environment, it is common to see pallets used for storage. While pallets can prove handy due to their ability to hold a large amount of cargo, it can sometimes be cumbersome and even hazardous to bend constantly in order to retrieve items off pallets. Due to this problem, a worksite can have its overall level of productivity slowed significantly. The Workplace Depot is excited to offer the pallet pal level loader, a convenient solution to this issue. 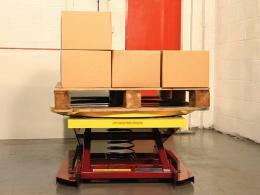 This unit is designed to make pallets easier to move and elevate so they can be worked with more efficiently. What Is the Purpose of the Pallet Pal Level Loader? The pallet pal level loader is designed to make it easier to work with pallets in a commercial environment. This unique, power-free automatic level loader can elevate pallets and make it easier to retrieve a pallet’s contents quickly. Not only can this help to speed up production, but it can help to reduce injuries associated with frequent bending or kneeling in order to retrieve supplies from pallets. In addition to supporting a pallet at a comfortable work height, this unit can also rotate making it easy to retrieve items from pallets in a fast-paced environment. Where Can This Pallet Level Loader Be Used? Whether it’s a busy shipping yard or an engineering workshop, numerous types of commercial worksites utilise pallets in order to store boxes, tools, and components. Many of these must be retrieved quickly, and the pallet pal level loader makes this process much easier. Given that the unit is very robust, it can hold up against debris, grit, oils, and other things commonly found at any industrial worksite. Who Might Use This Pallet Lifter? Every worksite manager wants their place of business to be as safe and efficient as possible. While pallets can be a huge asset when it comes to keeping items organised at a worksite, they can be difficult to work with. Anyone can boost the productivity of their team and create a much safer work environment with this device. This power-free automatic unit utilises heavy duty springs to support pallet loads been 200-2000 kg. The turntable has a diameter of 1100mm. 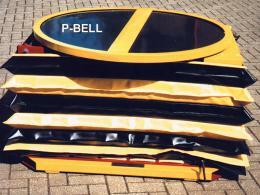 Available in a yellow and black colour scheme, this product can fit right in at any industrial worksite. The product can be delivered in five to seven working days and comes with a one-year warranty.